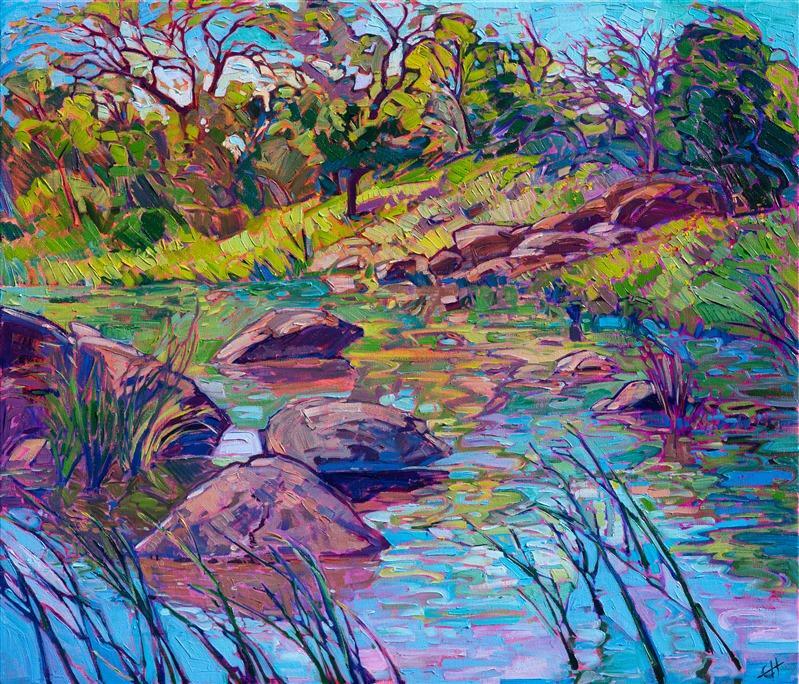 Messina Hof Grapevine Winery, pioneers of the Texas wine industry, is partnering with The Erin Hanson Gallery to bring original oil paintings by Erin Hanson to Texas. This exhibition, called The Art and Wine Social at Messina Hof, will run for a limited time, from April 25th through April 28th, at the famed winery’s Grapevine location. 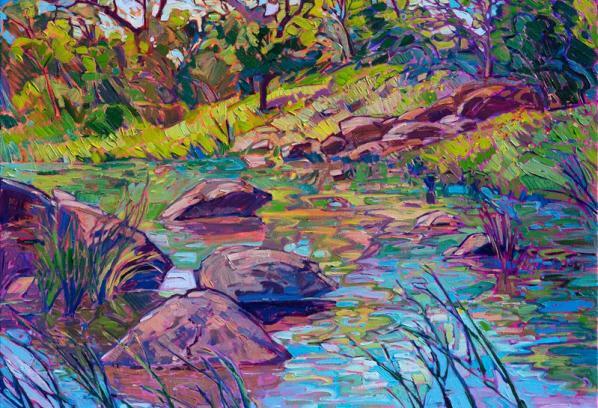 Erin Hanson’s original paintings celebrate the natural beauty found in the United States and around the world, but her roots are in the American West. In 2019 alone she has produced over fifteen unique canvases which bring western landscapes into bold, impressionistic life. Hanson’s vibrant use of color and her continued return to the many landscapes found in the American West make her artwork a beautiful pairing with the renowned wines created by Messina Hof Winery and Resort. Travelers to the American West have gathered at Messina Hof’s location in the historic Wallis Hotel in downtown Grapevine for decades. This urban winery features multiple tasting areas, forty different wines, tasting and premium flights, wine on tap, original art on display, gourmet food items, and various event spaces. Erin Hanson’s work will be available for viewing at Messina Hof’s art and wine social from April 25th - 28th. You are invited to join fellow art and wine aficionados to experience extraordinary paintings and delightful local wine.